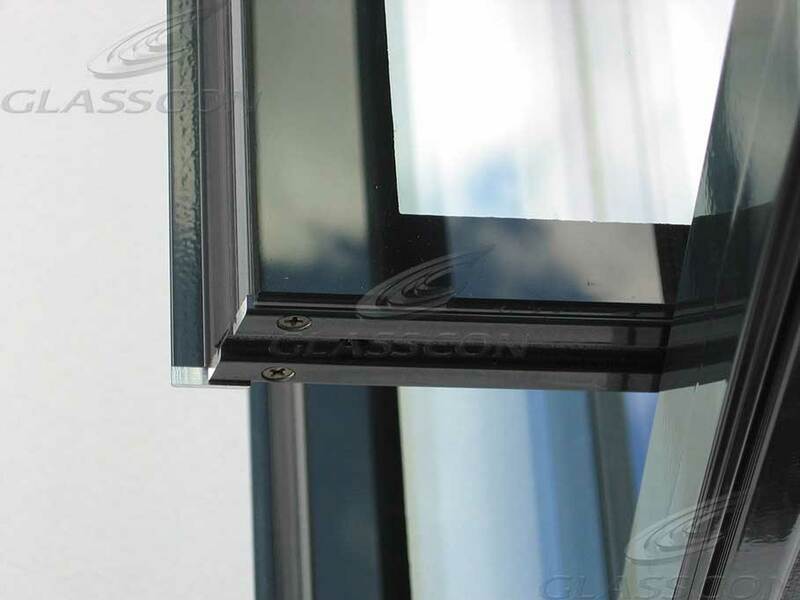 Glasscons louver windows are made from single, double or bullet proof glass and provide a K-U-Value > 0,9 KW/m2k. 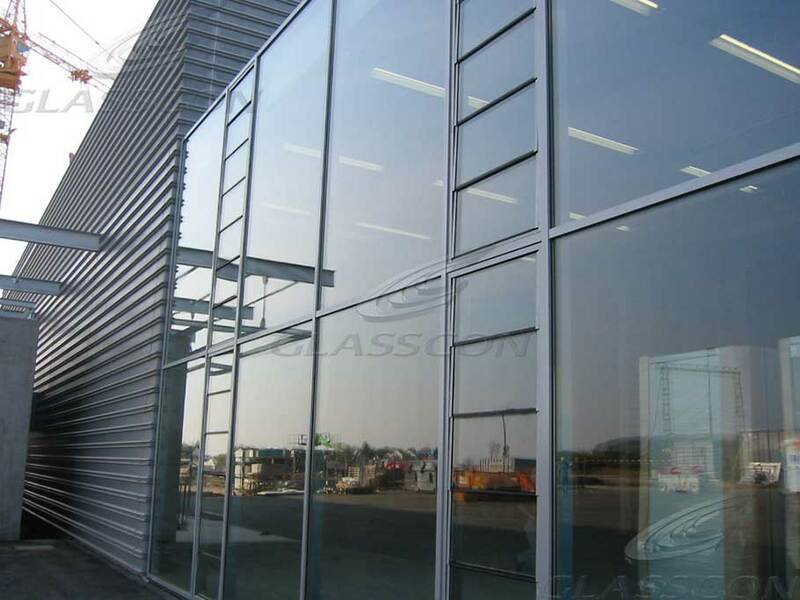 Each louver can be made only of glass (structural glazing type) or be installed in an aluminum frame. 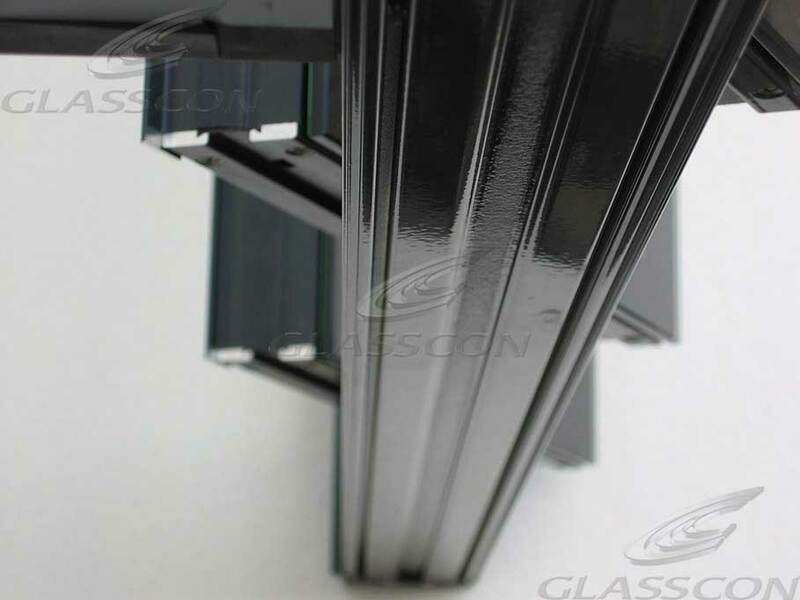 Those aluminum frames can be with thermal break (EPDM) or non thermal break. 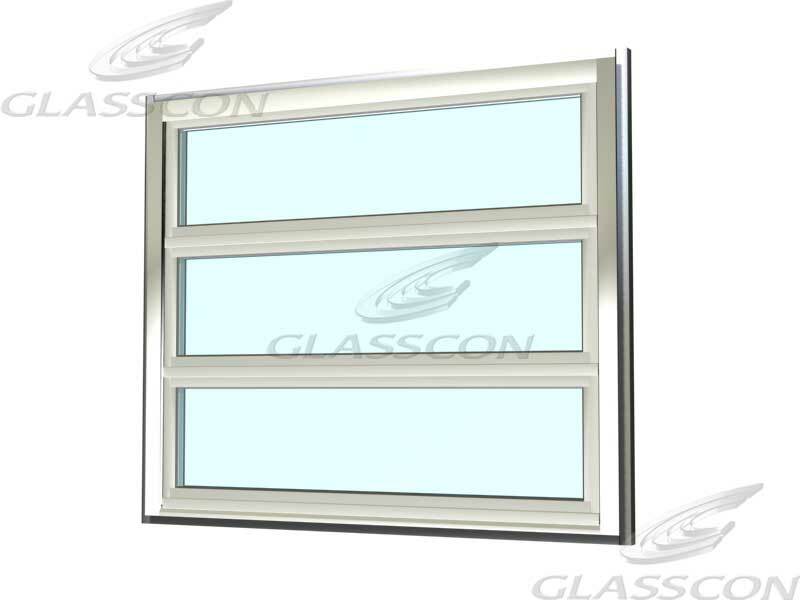 With no fixed panes and blades that open almost horizontally in an aluminium window or timber frame, GLASSCON Louvres WINDOWS open twice as wide as regular windows to maximize ventilation. GLASSCON Louvres WINDOWS can be left open in gentle rain. The amount of airflow through the window can be precisely controlled. Breezes can be directed upwards towards the ceiling. When open, GLASSCON Louvres WINDOWS do not project far beyond the surrounding wall so do not impede paths of travel. 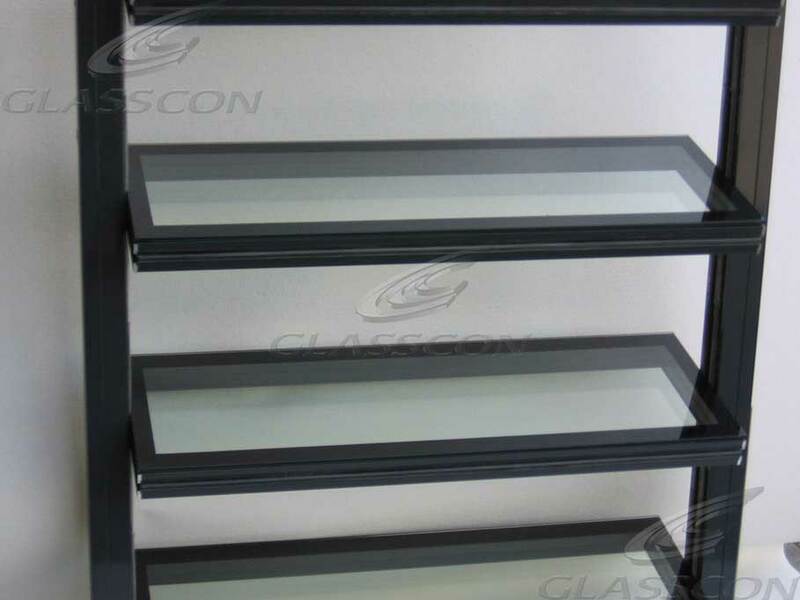 GLASSCON Louvres WINDOWS can be cleaned from the inside of the building (a big advantage in multi-floor buildings). a) The G16 and G24 consist of non-thermally separate frame and sash profiles. 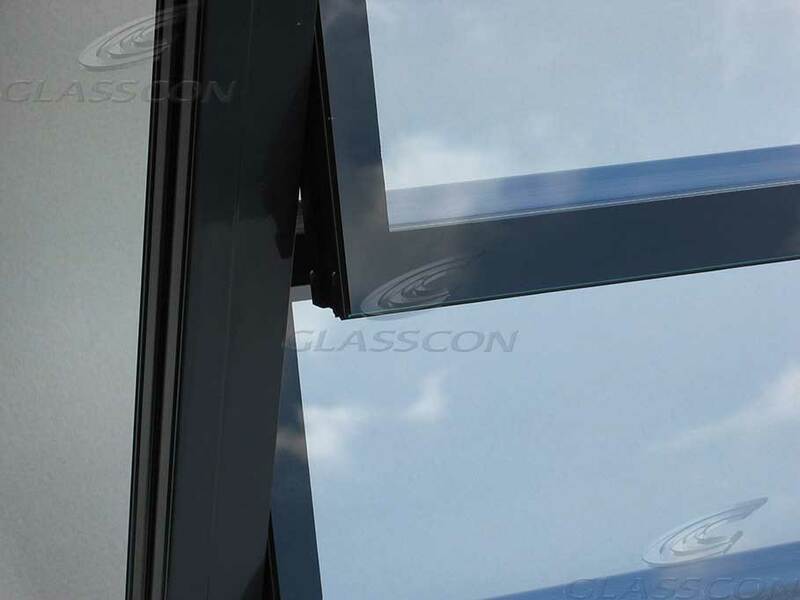 Glazing is in this system an insulating glass in a thickness of 14 mm or 24 mm with a U-value of 3.0 is used. 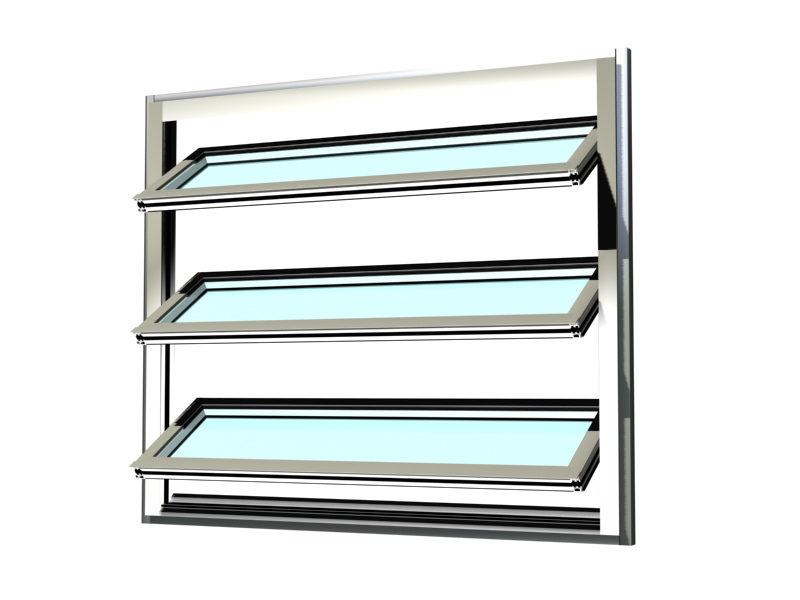 b) The T-Series thermal insulated windows consist of frame and sash profiles. 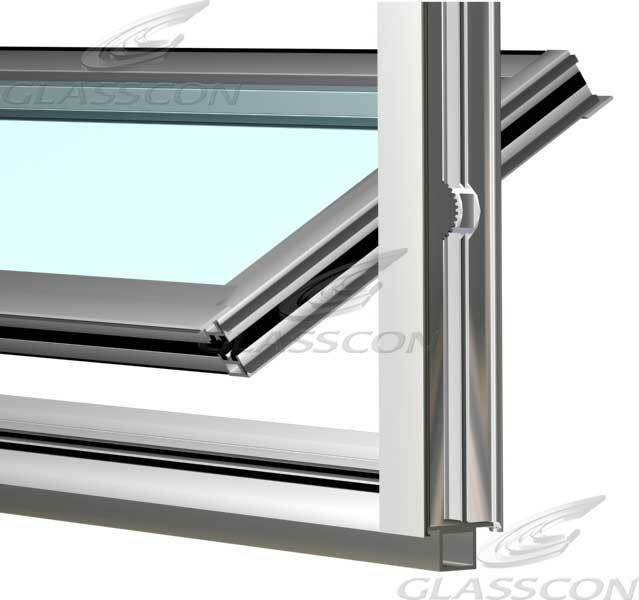 As a rule, heat-absorbing glass is used by 24 mm or 30 mm with a U-value of 1.1. 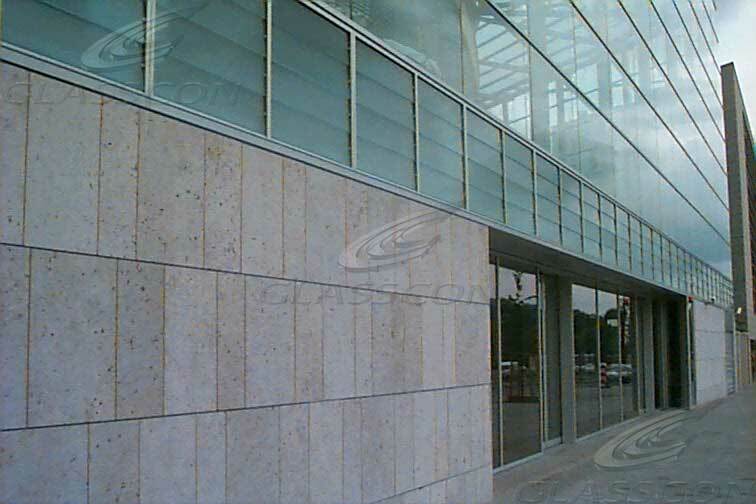 By sealing lips and overlapping aluminum window profiles, the system is largely windproof. The seal in the side area is ensured by brush seals. By default, the slats at glasscon louvre windows are stored centrally. An eccentric mounting of the blades may be possible after technical clarification. This may be necessary if the window will be installed p.e behind a superior solar protection and where available space is limited. 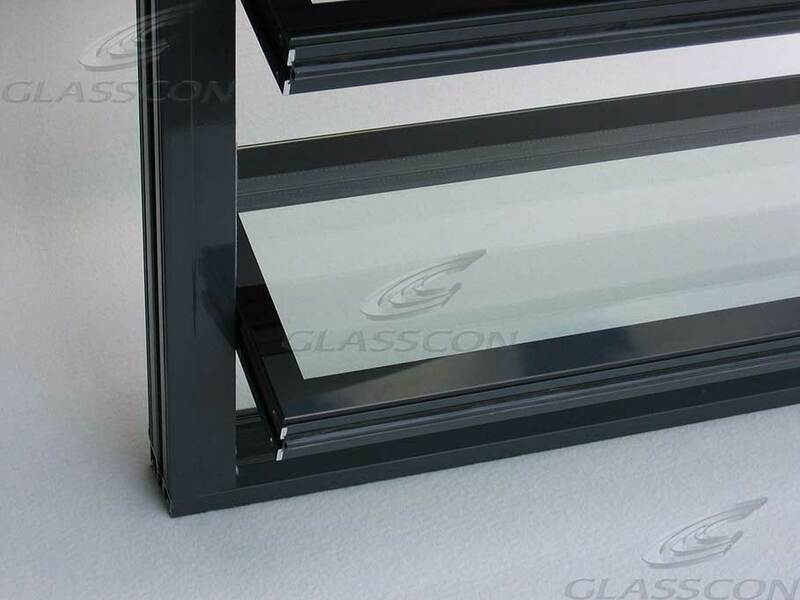 By default, glasscon louvre windows come with mounting adapter.. In addition to the standard program are U sections with 24, 26 or 28 mm width available. Other constructions are possible after technical clarification. 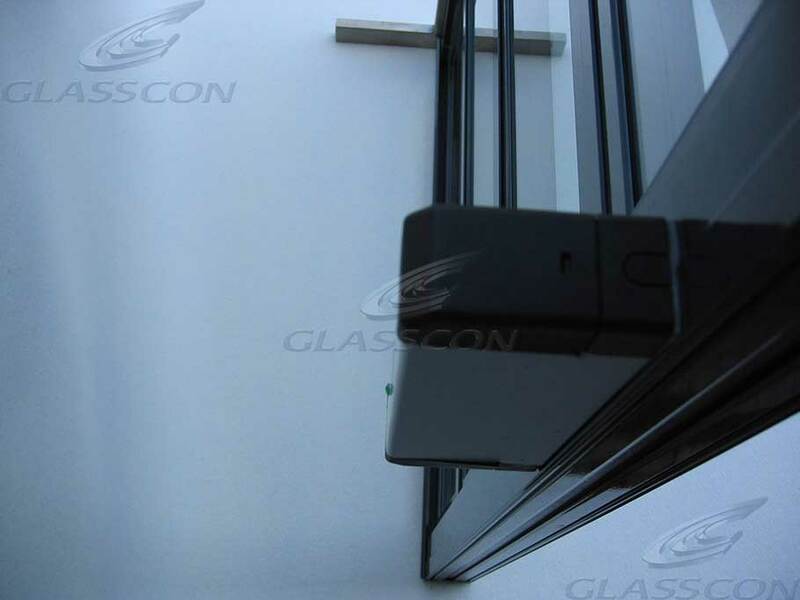 In driving the glasscon louvre window lever, electric motors or gear can be used. Necessary drive lever, connecting and drive rods are made of stainless steel. On request, the window for on-site installation of the drives being prepared. 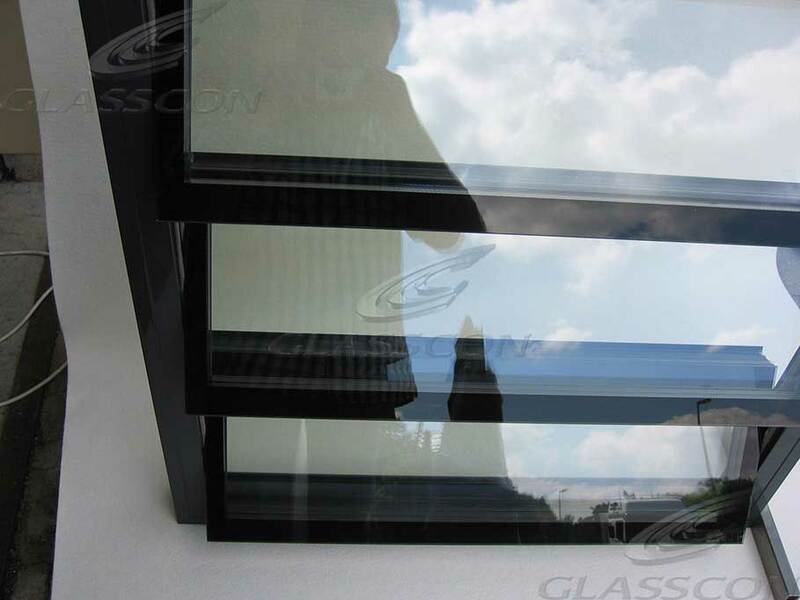 We also offer an all-glass version of the TG-window. Here, the horizontal slats fall off profiles. The glasses are designed as stepped insulation with inserted gasket.